NO SIEMPRE LOS PROYECTOS MÁS GRANDES Y PROFESIONALES SON LOS MÁS GRATIFICANTES. 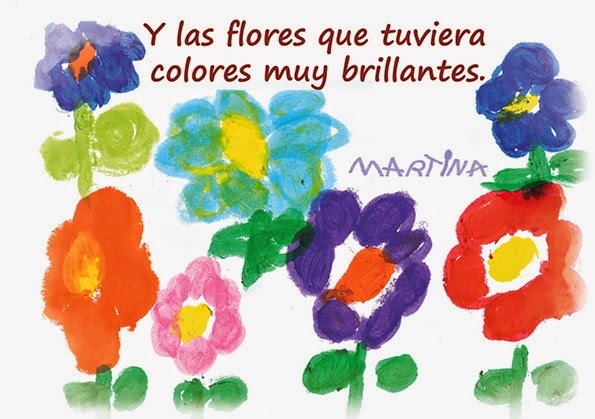 A VECES, UN HUMILDE TRABAJO ESCOLAR ACABA CONVIRTIÉNDOSE EN UNA PEQUEÑA OBRA DE ARTE. 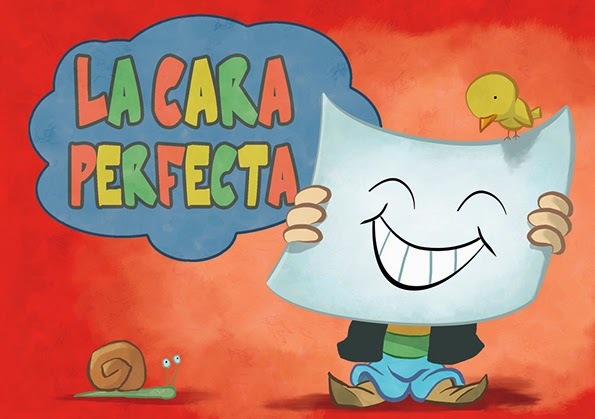 ES EL CASO DE ESTA VERSIÓN DEL CUENTO "LA CARA PERFECTA" DEL AUTOR PEDRO PABLO SACRISTÁN. PRIMERO LES HICIMOS A LOS NIÑOS (4-5 AÑOS) UN CUENTACUENTOS CON MARIONETAS. TODO ELLO MUY AMATEUR, YA QUE NO SOMOS EXPERTOS TITIRITEROS, AUNQUE NOS LO PASAMOS MUY BIEN. 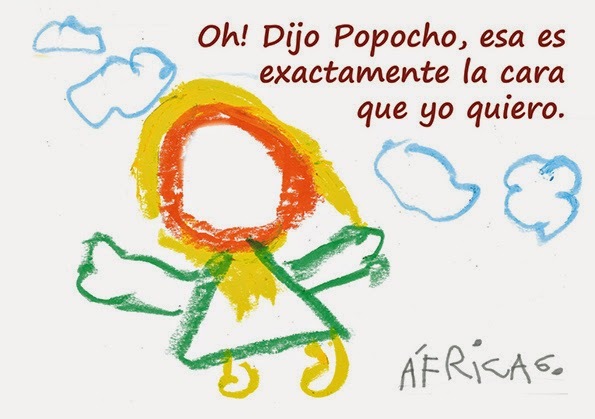 DESPUÉS LES PEDIMOS A LOS NIÑOS QUE HICIERAN DIBUJOS RELATIVOS AL CUENTO . EL RESULTADO, COMO VEIS, ES FRANCAMENTE SORPRENDENTE. 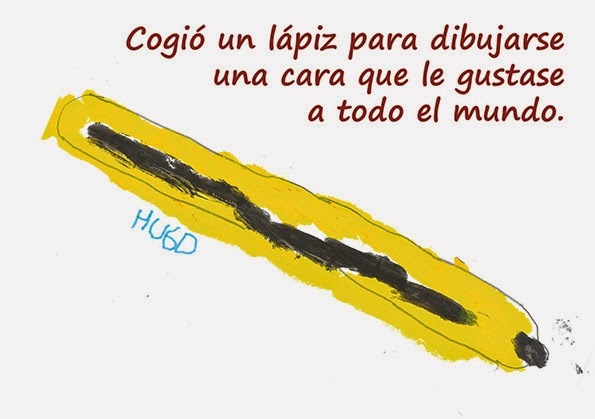 ASÍ QUE MAQUETAMOS TODO EL CUENTO CON LOS DIBUJOS DE LOS NIÑOS. 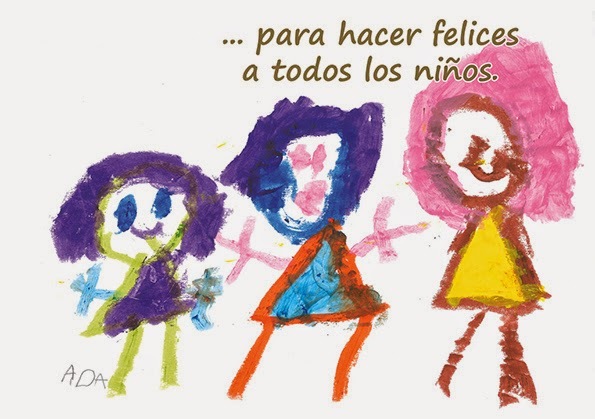 RESULTA FASCINANTE PODER TRABAJAR SOBRE LAS ILUSTRACIONES DE LOS PEQUES. 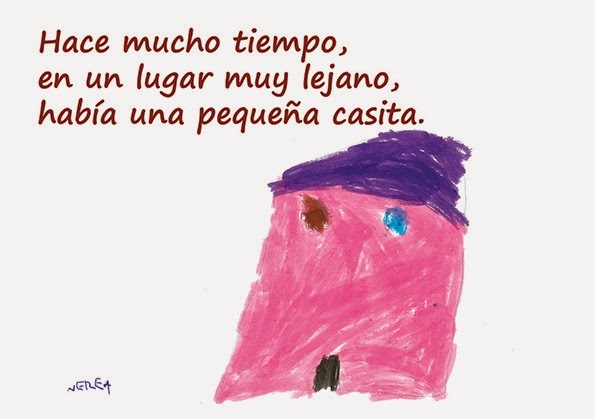 Y LO QUE EMPEZÓ COMO UN TRABAJO ESCOLAR, SE HA ACABADO CONVIRTIENDO EN UNA OBRA DE ARTE, GRACIAS A NUESTROS PEQUEÑOS ILUSTRADORES. DE HECHO, HA GUSTADO TANTO, QUE INCLUSO HEMOS LLEGADO A HACER UNA PEQUEÑA (MUY PEQUEÑA) TIRADA PARA LOS PADRES Y LA BIBLIOTECA DE LA CLASE..
HA SIDO MUY BONITO PODER COLABORAR EN ESTE PROYECTO.